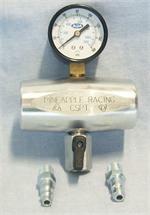 We use this syringe for applying Crisco shortening to hold seals in place during engine assembly. It is the ideal tool for the job. Crisco not included. Replacement Gasket for our Cooling system pressure tester.